There is a marked increased interest recently in the factory outlet segment of the industry; hence the International Council of Shopping Centers (ICSC) and Goldman Sachs (GS) have expanded their consumer tracking of factory outlet shoppers. The survey suggests that about one-fifth of all consumers shop at an enclosed mall over a given week, while about 8 percent of consumers shop at a factory outlet. The ICSC-GS study found that about 60 percent of factory outlet shoppers are in fact “cross shoppers” at enclosed malls and that factory outlet shopping patterns are surprisingly steady throughout the holiday season. “These early indications suggest that factory-outlet sales display a very different seasonal pattern than mall sales, and factory outlets are not a substitute, but a complement, to enclosed malls,” said Michael P. Niemira, vice president of research and chief economist for ICSC. A Factory Outlet is a manufacturer-owned store selling that firm's closeouts, discontinued merchandise, irregulars, cancelled orders, and, sometimes, in-season, first-quality merchandise. Some manufacturers have merged into mega companies that own many labels and sell via Factory Outlets that offer many brands. Alternatively we find companies that provide Factory Outlet distribution for several manufacturers. Location: For any factory outlet to be successful, it must be located in groups and where most of the centre tenants are the manufacturers of the brand name product they sell. The majority of stores offer all year discounts ranging from 25 % to 75 % . All merchandise sold is stock surplus to the high street or special buys and is typically sold through stores run by the brands themselves. Merchandise includes fashion, home wares, electrical goods, cosmetics, toys, books, CDs and videos. The concept allows retailers an opportunity to sell surplus stock direct to the public via a branded shop. Brand equity is safeguarded, while market share and brand awareness increase. The factory outlet buys larger quantities of items, and therefore initially pays less for them, passing on some of their savings to you, the consumer. However - at times, the factory outlet buys out a discontinued item (no longer being made) which isn't selling at normal retail. In that case, you could be buying last years model or may have trouble finding parts for an item that is no longer being manufactured. 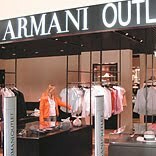 Factory outlet centers should be uniquely identified with low prices for branded items. This perception of customers significantly differentiates outlet centers from conventional and discounts department stores. However, the successful branding by discount department stores as well as promotional activity by conventional department stores has decreased the perception of a value differential. Therefore, carrying top brands with low prices and high quality as well as appropriate advertising and promotions make for a successful outlet center. In addition, diverse merchandise categories combined with popular non-shopping activities, such as restaurants, cinemas, or other entertainment activities, also determine the success of outlet centers. Advertising messages precisely tells what outlet center is and what it offers. Sales promotion, such as coupon or gift with purchase, are held periodically to encourage customers. Joint promotional activities with various businesses and organisations are also promising. Meanwhile, E-commerce is used for issuing gift certificates or providing virtual brochures, which include center location, hours of operation, and other relevant information.